Analysis: Jefferson signed a deal valued at just over $2 million for 2019. 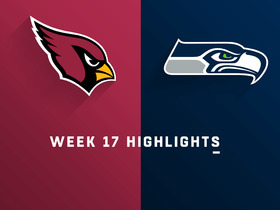 The 25-year-old appeared in 16 games (12 starts) with Seattle last season, notching 25 tackles (15 solo) and three sacks, both career highs. He likely enters the 2019 season slated for a starting role. 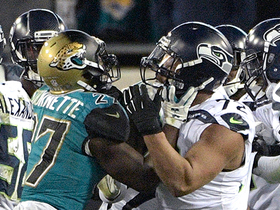 The Seahawks extended a tender to Jefferson at a fifth-round level Wednesday, Tom Pelissero of NFL.com reports. 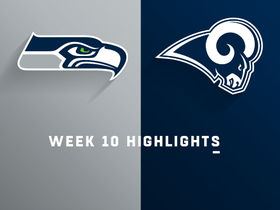 Analysis: The 25-year-old was a solid producer along the Seahawks' defensive line in 2018, racking up 25 tackles (15 solo) and a career-high three sacks. 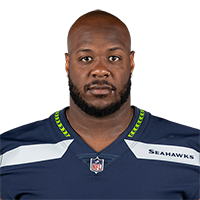 The Seahawks are hopeful the fifth-round draft-pick compensation will be too rich a price for an opposing team to pay to secure Jefferson's surfaces, thereby allowing him to return to Seattle for another year. 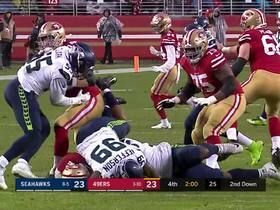 Jefferson posted 25 tackles, three sacks and two pass breakups across 16 games in 2018. Analysis: After battling injuries over his first two seasons, Jefferson finally stayed healthy for all of 2018 and averaged 35 defensive snaps per contest. 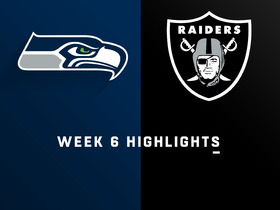 That average ranked second among all Seattle defensive ends, trailing only Frank Clark. Jefferson will become a restricted free agent this offseason and will likely be re-signed. 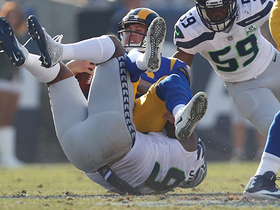 Seattle Seahawks defensive end Quinton Jefferson pounds his way through the offensive line to sack Los Angeles Rams quarterback Jared Goff. 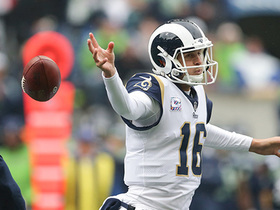 Los Angeles Rams quarterback Jared Goff loses the ball while attempting to throw which forces a fumble but center John Sullivan recovers for the Rams. 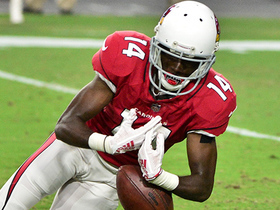 Arizona Cardinals wide receiver J. J. Nelson drops a deep pass from quarterback Josh Rosen that would have put the Cardinals inside the 10. 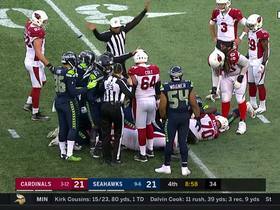 NFL Network Insider Ian Rapoport gives an update on how the league might discipline players involved in the scuffle between the Jacksonville Jaguars and the Seattle Seahawks.